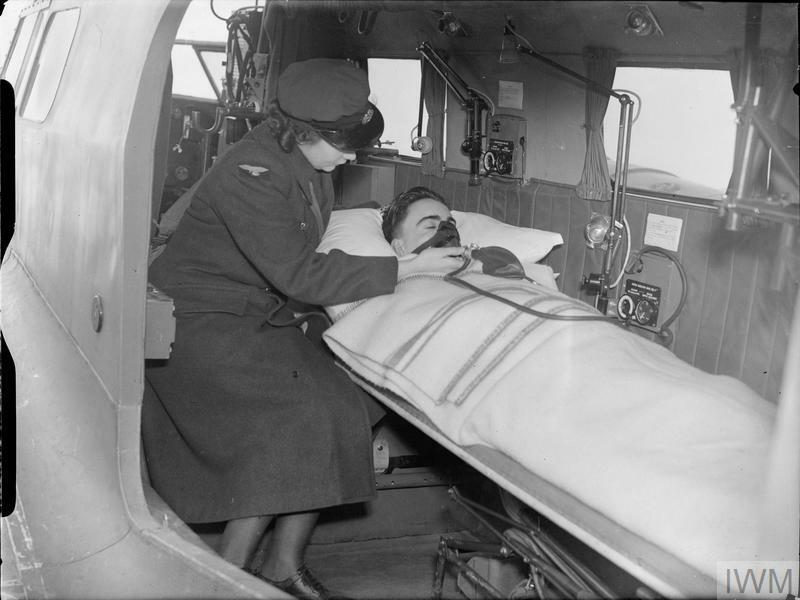 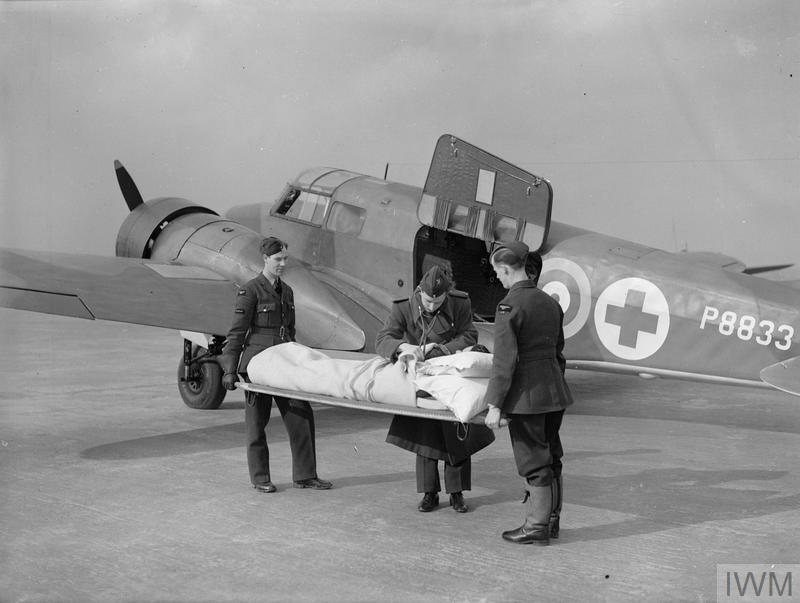 ROYAL AIR FORCE MEDICAL SERVICES, 1939-1945. 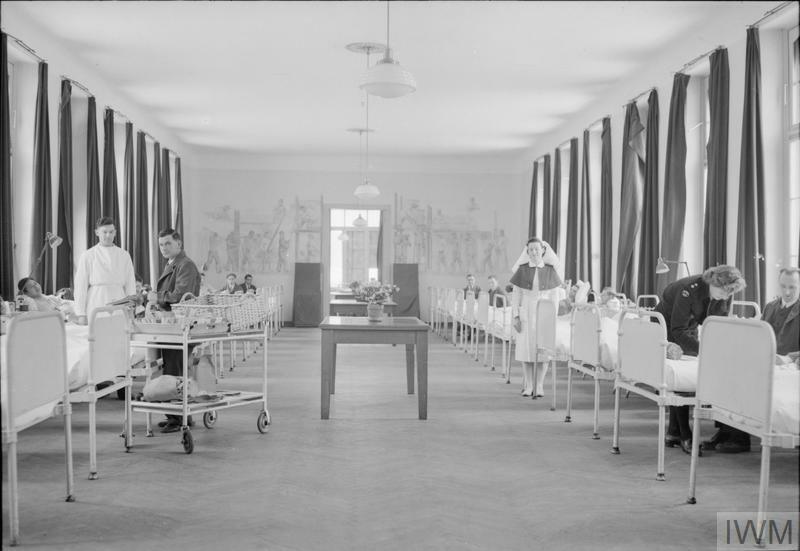 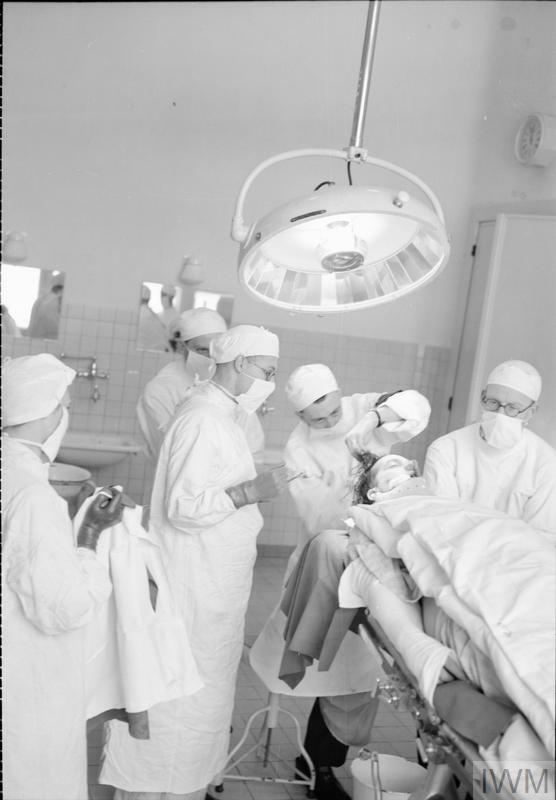 A view of one of the wards at No. 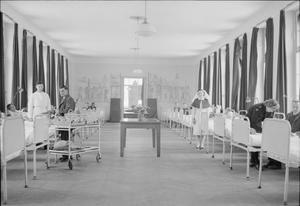 8 RAF General Hospital in Brussels, with Sister I Crossley of Rotheram in attendance (second right).